Norma: Between Ara and Lupus. Mensa: Between the Large Magellanic Cloud and the South Celestial Pole. Octans: Surrounds the South Celestial Pole off center toward Pavo. Volans: Between Carina and the South Celestial Pole; northwest of Mensa. Go to Map 1: The north polar constellations. 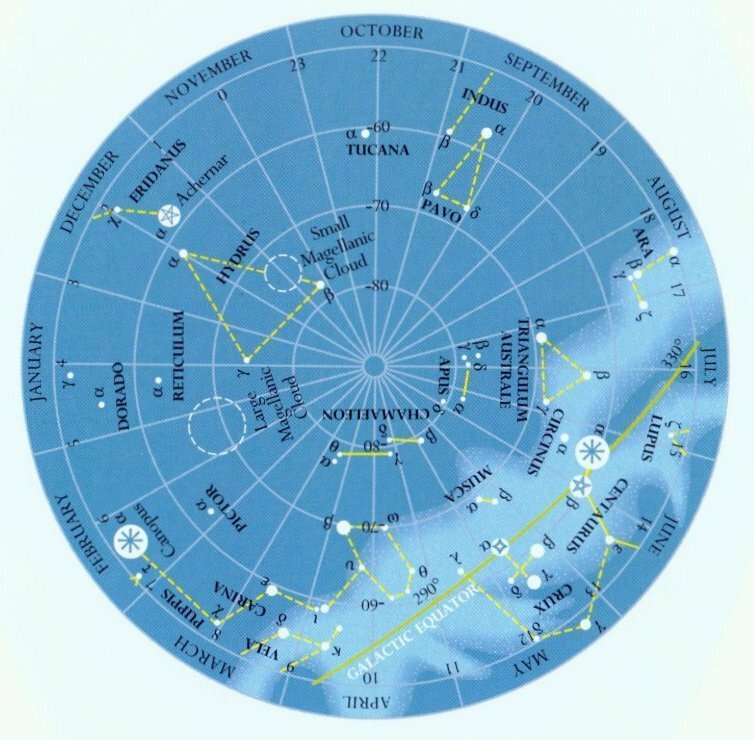 Go to Map 2: The constellations of northern autumn/southern spring. Go to Map 3: The constellations of northern winter/southern summer. Go to Map 4: The constellations of northern spring/southern autumn. Go to Map 5: The constellations of northern summer/southern winter. Return to The main Constellation Map page. See the Main Page for copyright statement.